Washington Park is a neighborhood and public urban park in Denver, Colorado. The Washington Park located in Denver, Colorado, United States is a blend of historic and contemporary styles of architecture. Its historic buildings, lakes, tennis courts, lawns, large flower gardens, and recreation center provide various experiences for visitors. The park was first developed by Architect Reinhard Scheutze in 1899. Its design was influenced by city planner Kessler, the Olmsted Brothers and the famous philanthropist “The Unsinkable” Molly Brown. The park is very popular both as a tourist destination and among Denver locals, with some comparing it to New York City's Central Park. Apart from activities like jogging, walking or biking, the park serves as a center for social activities and encourages community involvement. 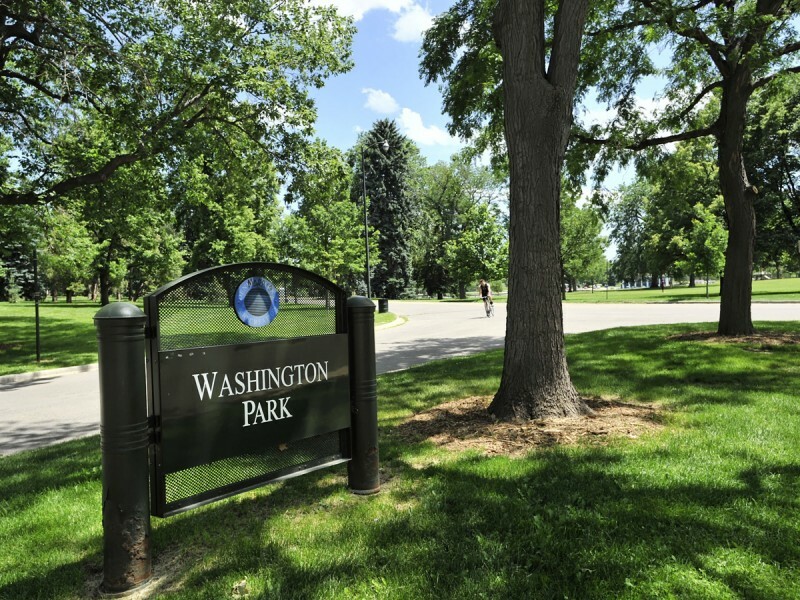 Due to its welcoming appearance and unique characteristics, the Washington Park was designated as one of the “Great Public Spaces in America” by the American Planning Association in the year 2012. Washington Park was initially designed by the German landscape architect Reinhard Schuetze between 1899 and 1908. His design remains fairly intact and included Smith and Grasmere lakes, and the Lily Pond, all fed with a city ditch that Shuetze had edged with Russian willows and other trees. Other pieces of his design remain intact and include the large meadow edged with a grove of trees to the south of Smith Lake, and the carriage-ways that meander through the park. Later landscape architects, such as Saco Rienk DeBoer and Frederick Law Olmsted, Jr. have added their own contributions to the park, adding the elegant boat house, an evergreen grove on the north side of the park and other additions. The park was designed in French country style with new paths and plantings introduced by city planner George Kessler in 1908. DeBoer architects were responsible for completing the big Perennial Garden at Downing in 1918 and Mt. Vernon Gardens in 1926. The Olmsted Brothers designed rolling Evergreen Hill, enhanced the pedestrian paths, and built the Lily Pond in 1912. The boat house was built by J.B. Benedict in 1913, following the Italian style of architecture.The bathing beach was installed on Smith Lake in 1911 whereas, the pedestrian and car bridges over City Ditch was installed by architect F.W. Ameter in 1912. The Field House, residence of poet and journalist Eugene Field was moved to the park’s northwest edge by Titanic survivor and philanthropist Molly Brown in 1930. The modern Recreation center was designed in 1971 by the architectural firm- Anderson Barker Rinker. Eugene Field, a reporter for the Denver Tribune between 1881 and 1883 lived in a small cottage at 315 West Colfax. Field is best remembered, though, for his children's poems. Years after Field left Denver and the house had been condemned, Molly Brown bought the house and donated it to the city. It was designated a landmark, moved to the east side of Washington Park, at Franklin St. and Exposition Ave. and restored. It served as the Eugene Field Branch of the Denver Public Library for many years. Field is further memorialized by the statue by Mabel Landrum Torrey, illustrating one of his most famous poems, Wynken, Blynken and Nod. In the 1970s the house became the headquarters of the Park People and the library moved to a new building at University Blvd. and Exposition Ave. Recently, Washington Park has become a very popular urban neighborhood because of its central location, its closeness to the park, and its access to several commercial business enclaves. This has led to a transformation of the neighborhood, which worries some residents because of an increased density, more traffic, and the propensity of some developers to scrap historic homes and replace them with denser luxury duplexes, town-homes, or other development. The park includes several trails, including one that goes around the perimeter of the park, tennis courts, a lawn bowling/croquet field, and two playgrounds. A recreation center with an indoor pool, free weights, and other athletic facilities is also located in the park. Smith Lake has a boathouse that can be rented out for various events. The park connects to the city via a number of bike trails at Exposition Avenue, Marion St. and Louisiana Avenue. The system of asphalt and gravel paths facilitates diverse uses: bicyclists, pedestrians, roller bladers, skateboarders, strollers, pet walkers, rented surreys, etc. The grove tree plantings planted at intervals allow views of the Front Range mountains west of the park. 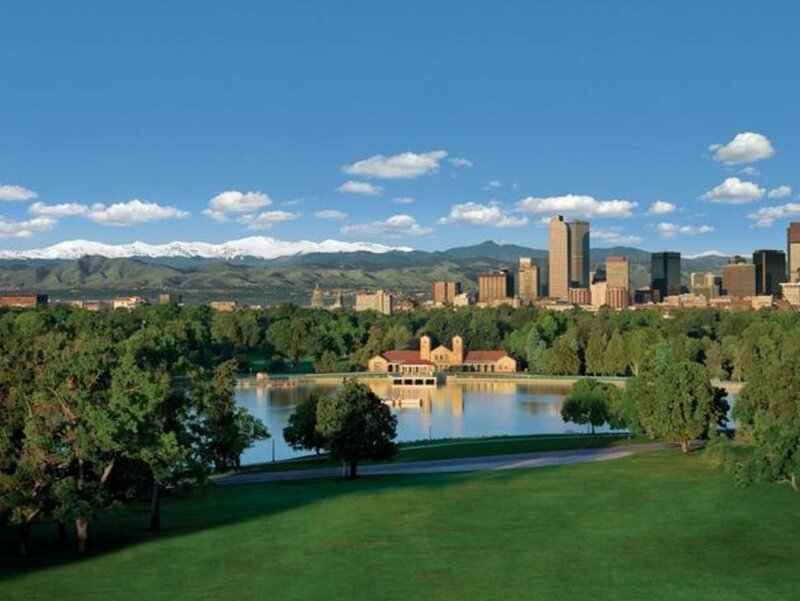 The park is also known for its largest flower garden in Denver, which was built in 1917. It was a Victorian-style Perennial Garden that included an elliptical lawn and symmetrical flowerbeds with 15,000 flower varieties. The flower garden also includes 54 flower beds in an informal arrangement. One garden is an exact replica of Martha Washington's garden at Mt. Vernon. Some of the artifacts in the park include the sculptor Mabel Torrey's "Wynken, Blynken and Nod," which honors poet Eugene Field (1919); and George Carlson's bronze "Early Day Miner," that depicts local history (1980). The Washington Park neighborhood is one of the oldest in Denver and includes many early twentieth century brick houses and even some late nineteenth century brick houses in West Washington Park. There are several commercial enclaves in the neighborhood such as South Gaylord Street and Alameda Avenue, as well as several smaller corner store areas located at stops of the former streetcars that ran down the residential streets. The South Pearl Street area, in the neighboring Platt Park neighborhood, is frequently misidentified as being part of the Washington Park neighborhood. The neighborhood borders I-25, which was expanded in 2006 and includes the RTD light rail. The Louisiana/Pearl station and University of Denver stations connect the southern part of the Washington Park neighborhood with light rail network, and the Broadway station serves West Washington Park. The south end of the park itself borders South High School.